Below is an excerpt of my projects. Their source codes are publicly available and for free. You're invited to view, clone and contribute to my projects at GitHub.com/Mobiletainment . For a portfolio of other projects, please contact me. A* is a pathfinding algorithm commonly used in video games. In this example, you choose the start and end point of the route first. 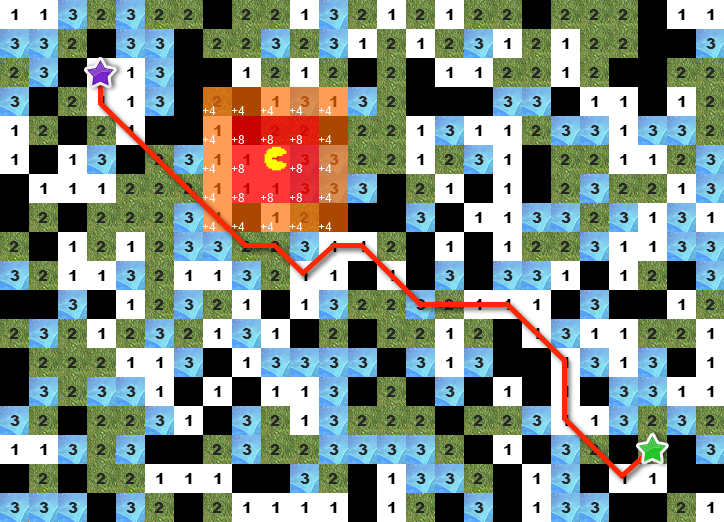 The algorithm then finds the path with the least costs between these points, considering that each tile has different costs or may be even unwalkable. Furthermore, you're able to navigate Pacman accross the field. Paths that cross Pacman's near surroundings (i.e. within Pacman's influence radius) experience increased costs and may get more expensive than a longer way around Pacman. The algorithm therfore dynamically re-evaluates pathes that cross Pacman's influence radius and adapts the route as necessesary. Begin by setting the start point. Move your mouse over the territory and click on the desired field. Note: black fields are considered unwalkable and can't be chosen as start or end point. Use the arrow keys to navigate Pacman through the scene. The cheapest path is re-evaluated immediately on every move. A debug-enabled WebView, allowing you to use Chrome DevTools to inspect and debug your web app while its running on your device. Why oh why would I need this? Does your web site look broken on the Android stock browser? Do you have Android specific defects you want to understand and solve? It sometimes happens that a web app doesn't work on mobile browsers, even though it's working fine on desktop browsers. Even worse, sometimes defects occur only on (certain) mobile devices, so you cannot simulate and reproduce it on a desktop browser. This is where remote debugging with Chrome's DevTools proves to be useful. While Chrome for Android perfectly supports this already, the Android stock browser doesn't. This is unfortunate, since a lot of Android bugs seem to occur only on the stock browser and not on Chrome anyways. So this app lets you run web sites within the native browser (WebView), while giving you the possibility to inspect and debug the page with the Chrome DevTools. How to enable remote debugging? 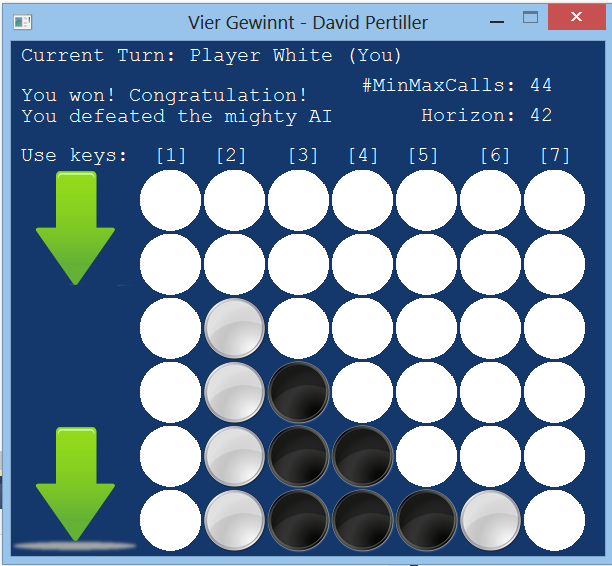 This is a simple implementation of the board game Connect Four. You can compete against the computer's artificial intelligence, which uses an adversarial search algorithm (with alpha-beta pruning) to evaluate its best move. Use the keys 1-7 to throw a coin into the according column. Computing Conway's genetic laws in parallel by distributing data accross multiple processing units. Performance benchmarks for OpenMP, OpenCL (CPU & GPU) as well as sequential execution. Birth: A dead cell with exactly three live neighbors becomes a live cell. Survival: A live cell with two or three live neighbors stays alive. Death: A live cell with four or more neighbors dies from overpopulation, with one or none neighbors dies from isolation. Stable: In all other cases a cell remains unchanged. The Moore Neighborhood is used, resulting in 8 neighbours to each cell. Furthermore, the borders of the field are wrapped-around, so that even the cell at the North-West position of the field has a neighbour North-West to ist and so on. The application is built to compute fields with huge data and over many generations. Input is read and output written to text files. Example input files are provided. Examples and test data are provided at the GitHub repository. 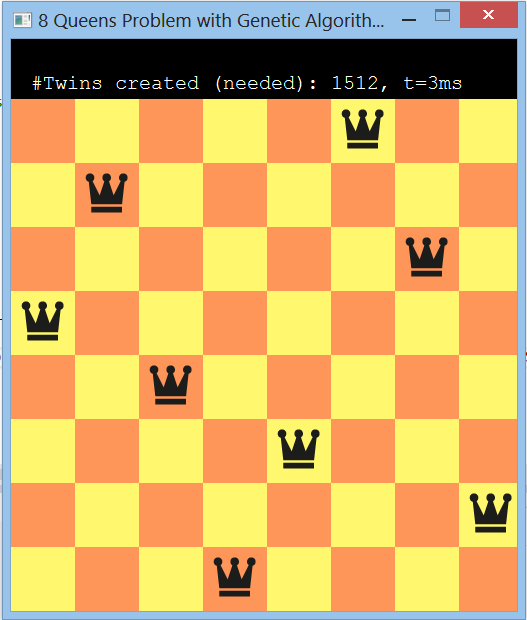 Possible solutions of the 8 Queens Puzzle are solved by a genetic algorithm. First, a population of 1000 genomes, each with a random solving constellations, is created. Then, 2 genomes with a high fitness (good solving constellation) are taken and their genes crossed and mutated to create successors with a hopefully better solving constellation. Hit enter to calculate a new solution. MasterMind is a code-breaking game. This one is built with Unity 3D and can be played WITHIN the Editor of Unity 3D. It was built to explore the extension capabilities of Unity 3D, and of course, to do a short game at any time while designing and creating games with Unity. How to use and how to play? This project demonstrates on-the-fly configurable shaders in the free version of Unity3D 4.0, so no pro license needed!. All settings can be conveniently adjusted in a GUI while the game is running, e.g. turning on displacement mapping and adjusting the step size of the texture sampling. 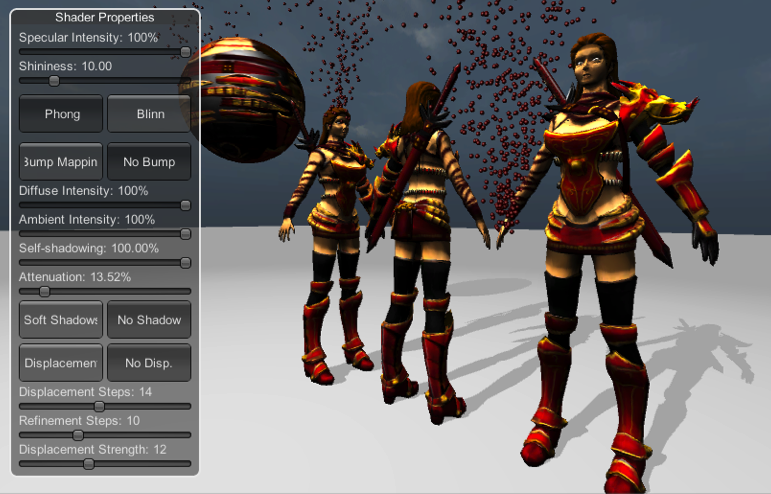 All shaders are written in the shader language Cg with vertex- and fragment-shaders. No surface-shaders are used. Computation is performed entirely on the GPU instead of the CPU. The CPU's computing power can therefore be used to perform other computationally intensive work. For a detailed description of the project and the techniques used, please have a look at this documentation (German). 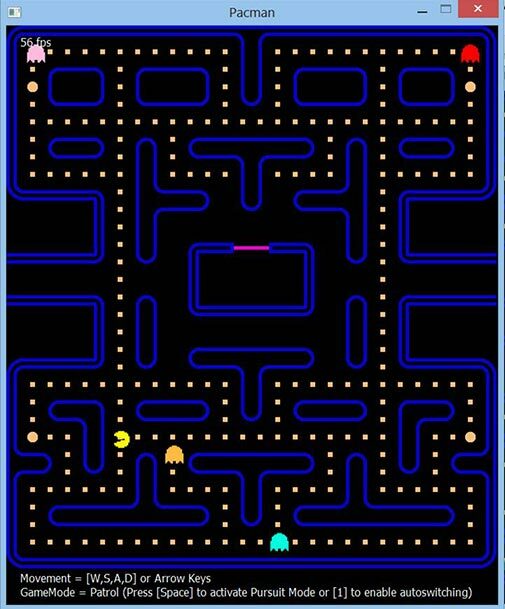 Pacman is an arcade game which greatly offers the chance to explore reactive artificial intelligence. If not patroling their home area, the ghosts actively react to Pacman's position and pursue Pacman with distinct strategies. Enable automatic Pursuit/Patrol mode switching by pressing the key 1. 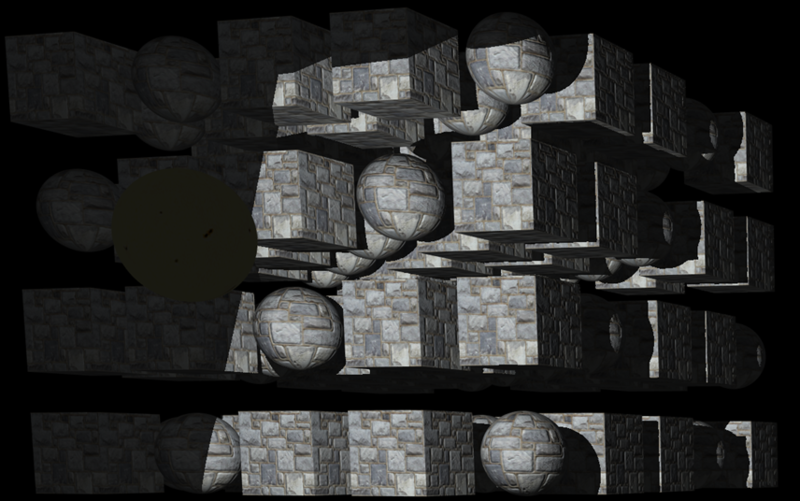 A small application demonstrating Shadows, Bump Mapping, Anti-Aliasing and a Quaternion Camera under DirectX 10. Besides using the keyboard and mouse to navigate through the scene, there's also a journey mode in which the camera automatically traverses control-points on the basis of a Catmull-Rom interpolation. Furthermore, the view's direction follows a spherical linear interpolation.